Is it just me, or has 2012 flown by? On a personal front, the year of the apocalypse that wasn’t saw a major job change and the terrifying/exciting news that Mrs. Doogs and I are expecting offspring #3, due in March of this next year. On the modeling front, this year hasn’t been as productive as I’d hoped, in large part due to several larger, lengthy projects. But still…it has been a year of learning, stretching and improvement. Four of my builds placed in area contests this year, and one of them took the top spot in its category – twice! I’ve wanted to build the distinctive “Magic Carpet” ever since seeing it on the Dogfights episode “The Legend of Y-29”, and the Tamiya kit was the perfect platform for the build. Others seem to like it as well – “Magic Carpet” took first place in 1/48 Allied Props TWICE this year. Once in San Antonio, after a marathon session to finish it up in time, and once in Austin. 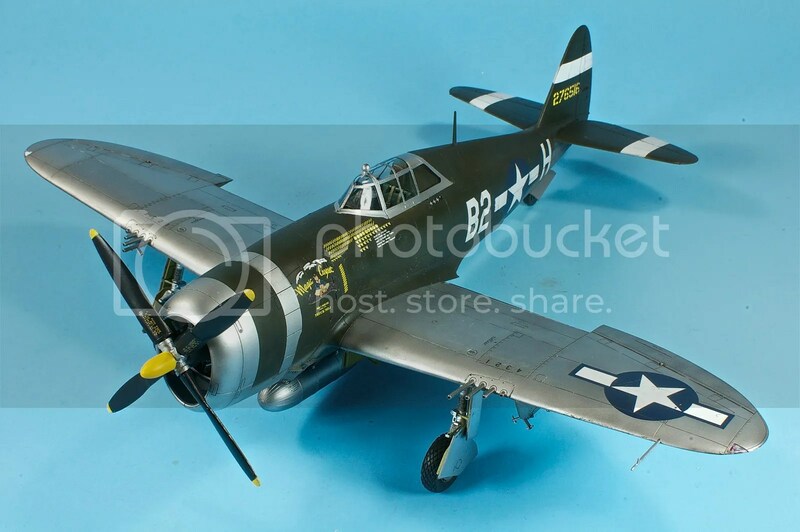 Build alongside “Magic Carpet”, the Revellogram P-47 is the inverse of the Tamiya in many ways, and that’s kind of why I love it. Both represent the far ends of the Jug spectrum, and both have their appeal. I like the Tamiya more, but still hold massive love for the archaic Monogram tooling. This sucker represented a ton of firsts. First limited run kit. 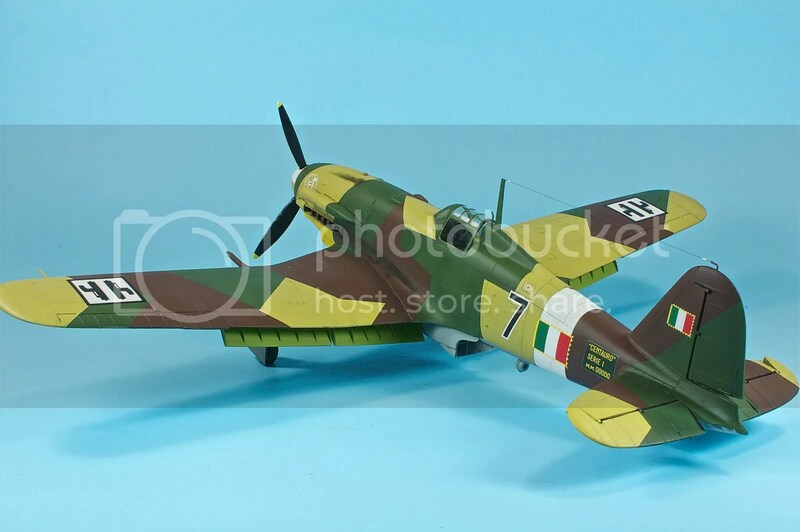 First Italian aircraft. First scratchbuilt flaps. First cut and posed tail surfaces. It wasn’t a perfect kit by any means, but I daresay it’s the most fun I’ve had at the bench this year. The Fiat took second place in 1/32 props at the Austin contest in the fall of 2012. Tackled as a “recharge” build, the N1K1 was a quick-building, highly competent kit that was a great way for me to cut my teeth on Japanese aircraft and experiment with some weathering techniques. Revell’s new-tool kits really are something to behold, especially considering their low price points, and the Ventura typifies the very good engineering and general attention to detail. While I felt the kit fell down in some places (guns, wheels, other small details), it got the main airframe engineering exceptionally right. The Peevee was deemed awesome enough that it scored second place among 1/48 large props at the Austin contest this past fall. 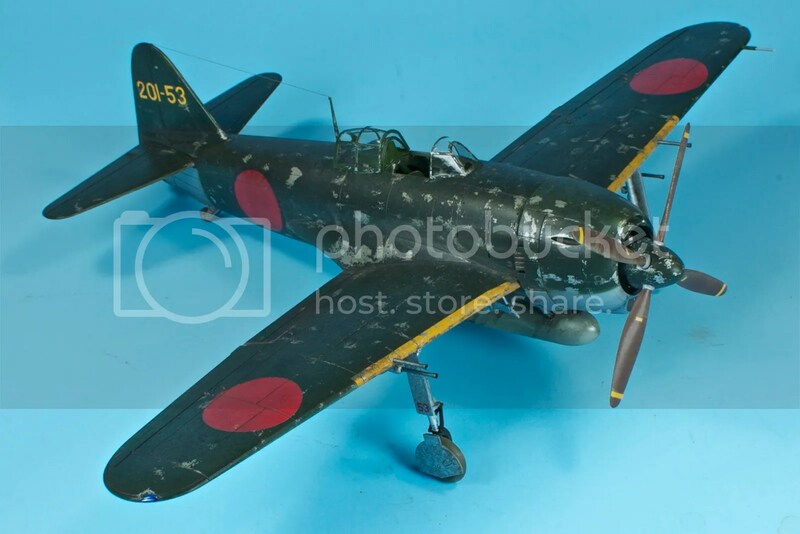 After some disastrous start/stops with several massive kits, I decided I needed something a bit more brainless, and so I reached for the D.520 as a quick build with an awesome paint scheme. And it turned out to be – mostly – a whole lot of fun. Excellent practice for painting and weathering, if I wasn’t entirely thrilled with the way the landing gear went together. 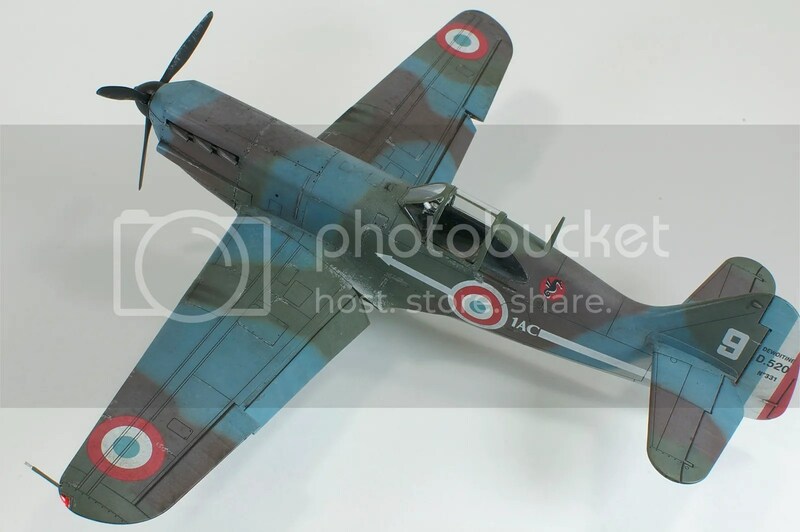 The D.520 took 3rd in 1/48 Allied Props at the Austin show this past fall. 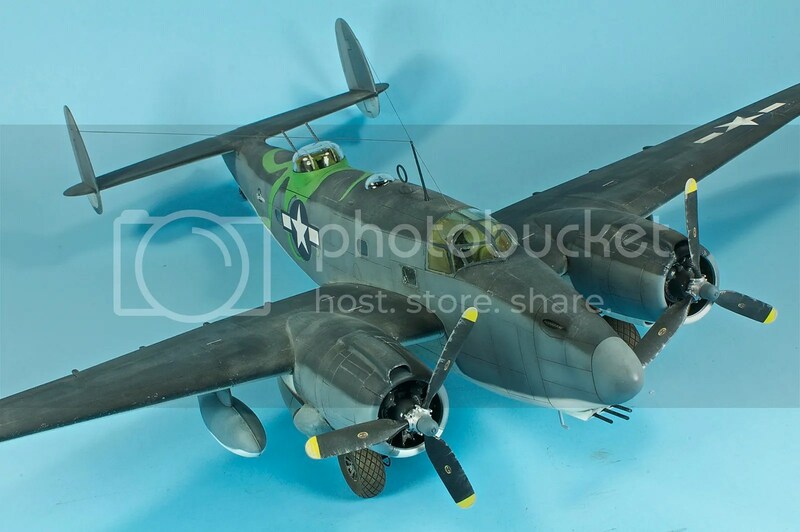 Lt. Henry Brown’s “The Hun Hunter ~ Texas” was another of those “must-build” kits, not just because of the Texas connection, or Brown’s crazy exploits, but also the standout RAF dark green over bare metal scheme. This one was a relatively fast and satisfying build. What’s there to say about this one? It was one intense build that I feel resulted in one of my best completes to date. It stretched me in many different ways, and probably ruined me on any further commission builds after the way FedEx crunched it. These two wee MiGs were the perfect distraction from the big, 1/32 kits occupying my bench. 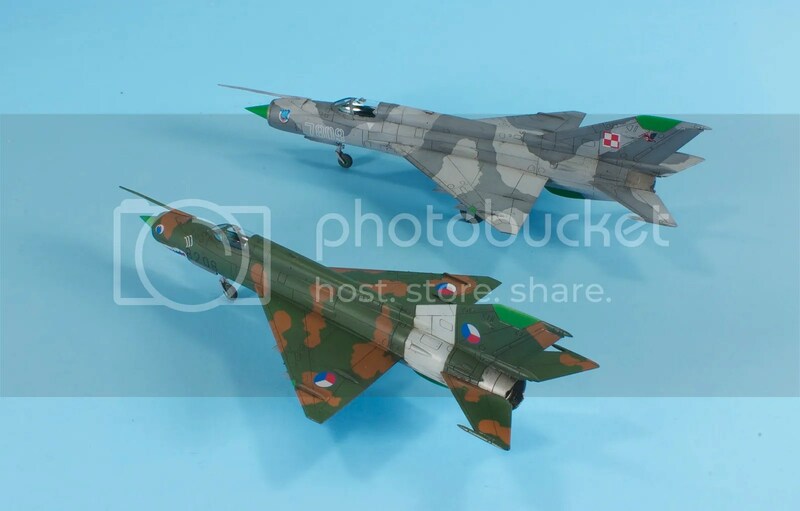 If you’ve never broken away and built something totally random, there are a lot worse places to go than to these excellent 1/144 kits from Eduard (heck…you get two kits in the box!). 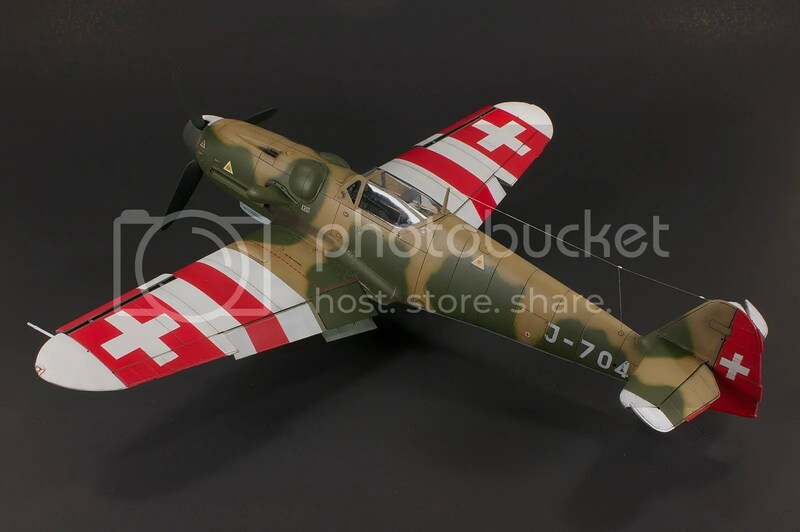 Ever since I first saw a 109 sporting the Swiss neutrality stripes, I just had to build one. This was an interesting build and one that I think holds together better at a distance, both due to the blandness of the Hasegawa kit and my own shortcomings in the finish-out. Great year! 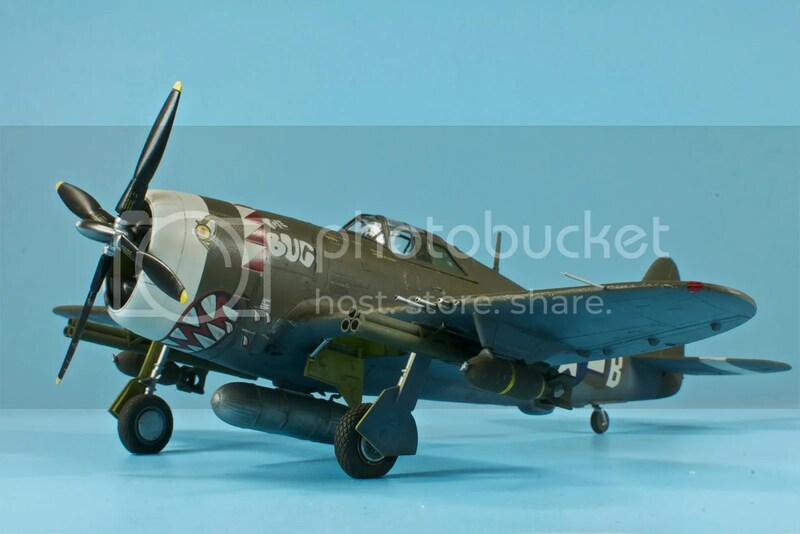 I specially love the Monogram P-47! It has some kind of strange appeal. Hey Doogs,I read somewhere that the Mayan calender said that if the world didn’t end, aircraft modellers should do more armor !!! Happy new year keith R.
Congratulations to you and Mrs. Doogs! We’ll all suffer through the lack of posts and new builds this spring – we understand… My son gave me a 1/32 Jug and an Optivisor for Christmas – so you have that to look forward to when they’re a little older. Thanks for the posts, as a “returning” modeler they’ve been invaluable to me and cut a lot of the trial and error out of my self-proclaimed comeback. Thanks for sharing your insights and comments. The best to you and your expanding family in ’13. I just stumbled upon your blog sir and the sight of this Swiss candy got me hooked! 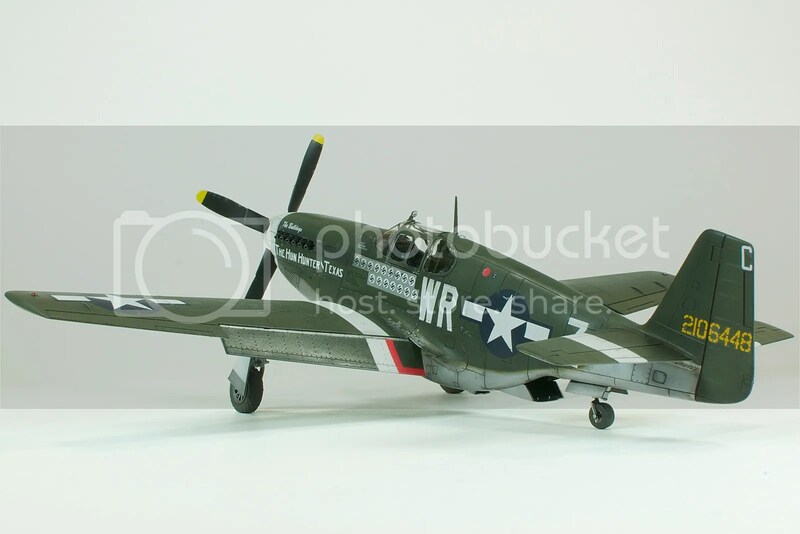 After i finish my Swiss P-51 (in green/natural metal) i will attempt a Gustav my self, only in 1/72. Very helpfull layout, great pictures for reference, especially for us less experienced. Thanks and a happy new Year.